If you’re counting the days until the LG G Flex smartphone comes to America, and simply cannot wait to get the curvy phone in your hands, LG wants you to know your relationship with the cutting-edge device may have a few bumps in the future. Specifically, bumps which could appear on the touchscreen’s surface. One of the G Flex’s standout features is its ability to be flattened out before springing back into its banana-like shape. However, according to a report in the Korea Times, excessive flexing could cause two small bumps to show up on the screen. A salesperson who works for Korea’s biggest electronics market said all G Flex phones he’d seen had the bumps. LG was aware of the problem before it launched the G Flex, an official from the Korea Display Industry Association told the publication, but after consideration decided to release the device anyway. 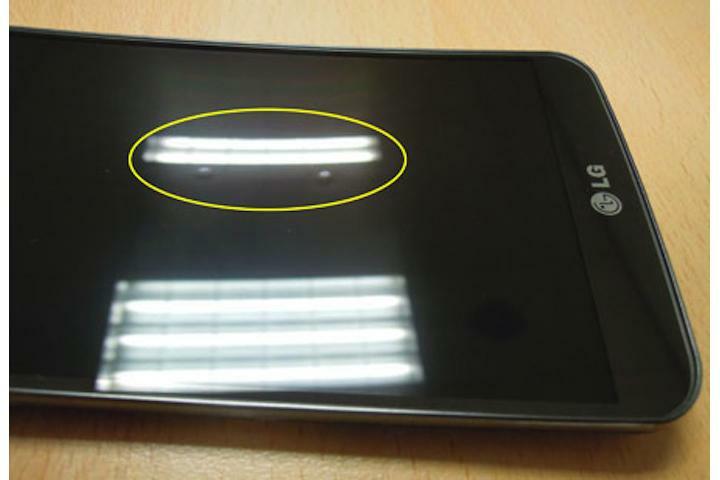 The good thing is, LG says the bumps won’t affect performance of the screen. In a statement, LG says, “Excessive or frequent force that flattens the device may produce bumps,” due to the elastic qualities of the glass cover, OLED display, battery pack and the phone’s chassis. However, pressing the bumps should make them disappear, or they’ll simply flatten out naturally over time. To avoid them in the first place, LG clarifies the screen’s flexible nature, saying it’s designed to, “Protect the device from damage and sudden impacts such as being sat or laid on,” and not suitable for being continuously bent about. Since its release, LG has shifted 13,000 G Flex smartphones, and is set to put the phone on sale in the U.S. before the end of March. Will talk of a bumpy screen put potential customers off, even though LG has brushed it aside as a non-issue? Probably not, but the price of the G Flex may be more problematic. The unlocked, SIM-free phone has been put up for pre-order in the UK this week for a massive £690, or $1,130, making it nearly $300 more than the most expensive iPhone 5S.